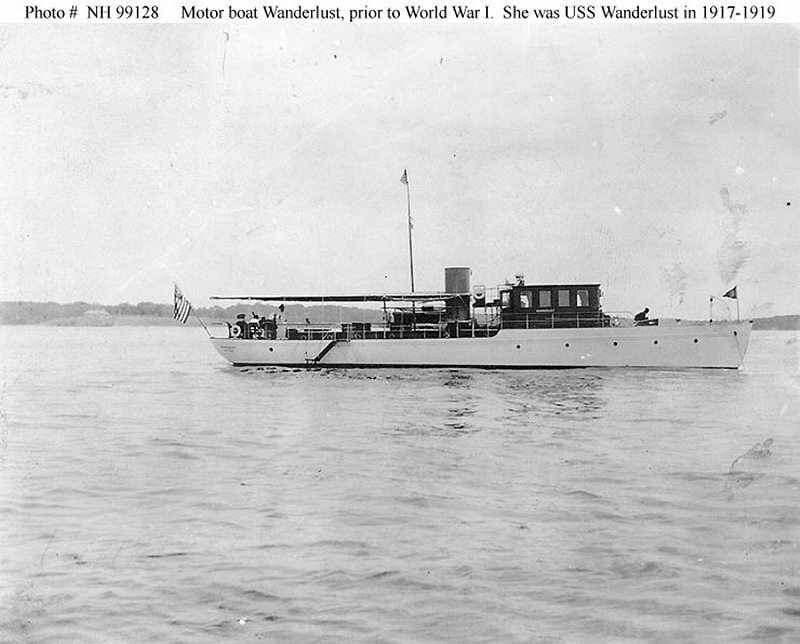 Motorboat: Built in 1907 as Faalua by George Lawley and Sons, Neponset, MA; Renamed Wanderlust in 1913; Acquired by the Navy 26 August 1917; Commissioned USS Wanderlust (SP 923), 12 September 1917; Returned to her owner 2 February 1919. Fate unknown. Specifications: Displacement 48 t.; Length 83'; Beam 13' 1"; Draft 3' 2"; Speed 12 kts. ; Complement 13; Armament two 1-pounders and one machine gun. 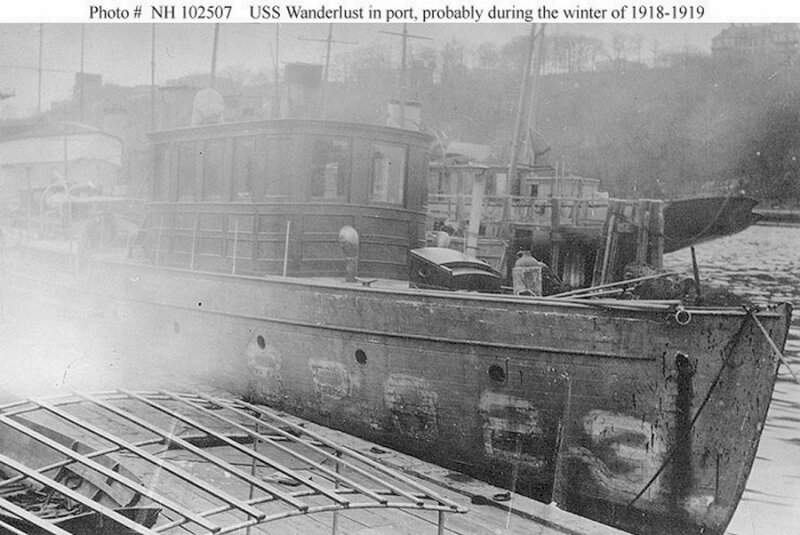 124k In port, probably while awaiting return to her owner during the winter of 1918-1919.